Sunshine, NO WIND, 24C ... a GLORIOUS day! It even sounds like this will repeat itself over the next couple of days! 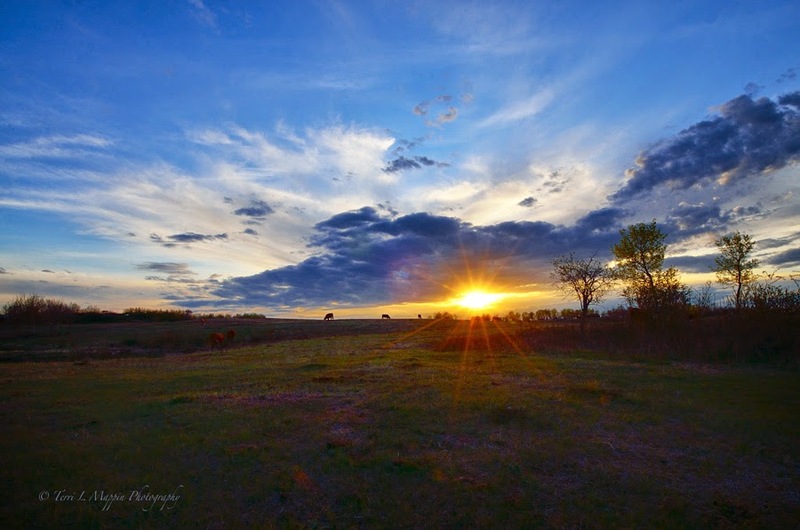 Sweet...Spring purple hues in the foreground,cow's silhouettes light up the sun, and deep purple clouds sandwich the image!...need I say more?